If I were to move from Maine, I’d be tempted to resettle in Oriental on North Carolina’s “Inner Banks” at Intracoastal Waterway Mile 181. 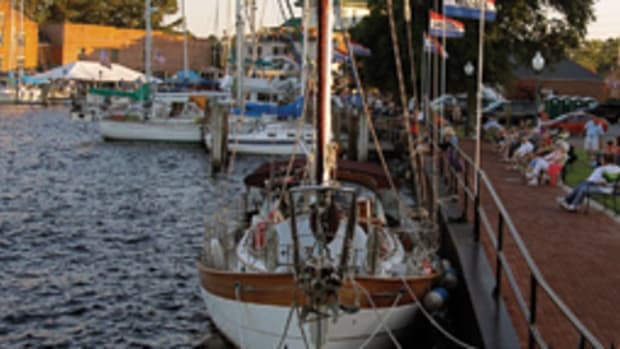 This secluded former fishing village proclaims itself the “Sailing Capital of North Carolina” for good reason. 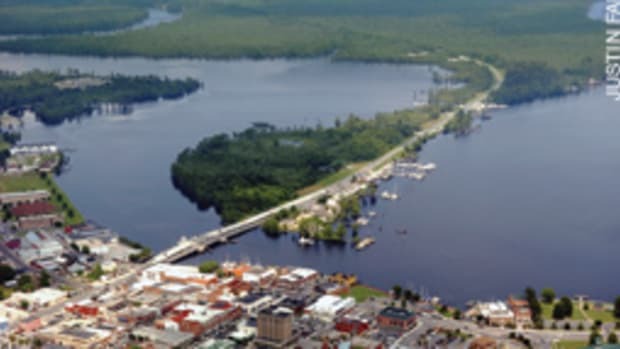 Five navigable creeks converge just above Oriental, then flow together into the 4-mile-wide Neuse River (the ICW) just outside the harbor breakwater. Pamlico Sound is about 25 unobstructed miles downstream. 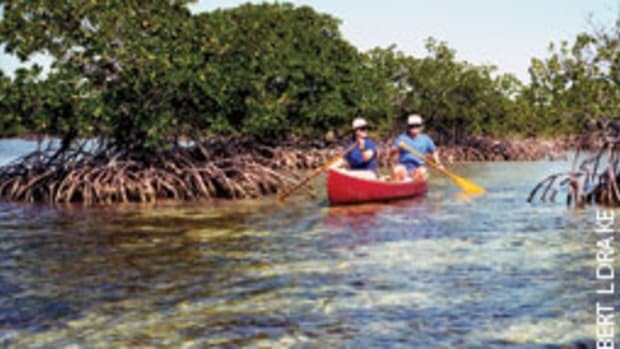 All these convoluted waterways provide about 150 miles of year-round playground — gunkholes, anchorages, fishing spots and broad, deep sailing waters — for sail, power or paddled boats of all sizes. Oriental even has a no-amenities town dock and another in the works, where you can tie up free for 48 hours. Villagers say, “Oriental’s all about the water,” and they mean it. 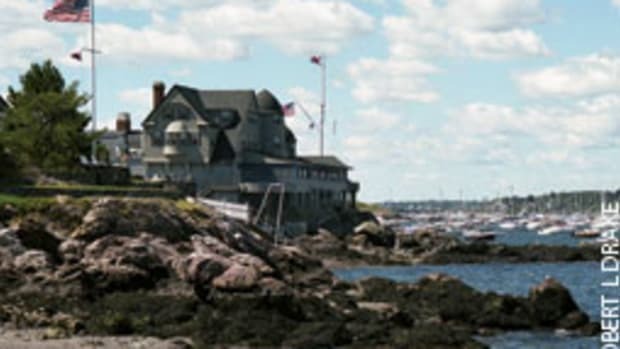 Yachts in the area outnumber the 900 permanent residents by three to one. 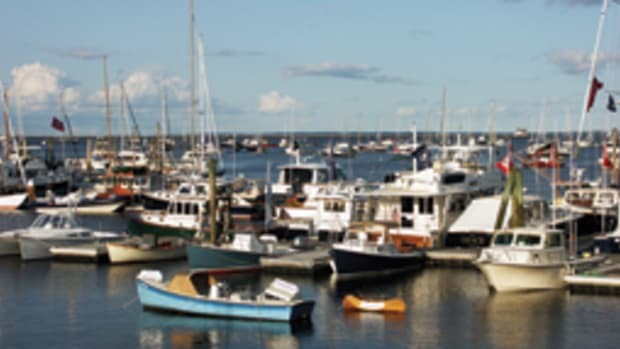 A boater or fisherman can find sailing and yacht clubs, four marinas, a repair yard and marine service businesses, including a cruisers’ concierge. They line the tiny narrow harbor, downtown shoreline, Raccoon Creek’s opposite shore and nearby Whittaker Creek. Of course, the tony new homes and condos have their own private docks on protected deepwater creek frontage. Many ICW cruisers have stopped here and never left, or soon returned to stay. Why not? In the 20 years I’ve been visiting Oriental, I’ve watched the village revitalize its sleepy, down-at-the-heels look and become a vibrant port while retaining its small-town charm and friendliness. Although some homes and nautical businesses dot the creek above the Route 55 bridge, most of downtown Oriental is below the bridge. The trawlers docked at the seafood plant on the breakwater along the Neuse River are more than ambience; commercial fishing is still important. Cycling is a fine way to see the village; it’s flat and compact, and traffic is minimal except on Broad Street (Route 55, the only road accessing Oriental). I like to stroll or bicycle (rentals at Provisions) past the downtown’s vintage homes and retail district to see what’s been restored, changed or opened. What is Provisions offering this year? What of the village’s 125 years is the Historical Society Museum showcasing? Although I’m not a shopper, I always treasure-hunt at the marine consignment shop. Others enjoy the growing number of boutiques, craft shops and wine emporiums. I prefer to have a peaceful picnic at Neuse River Park or explore a quiet creek by dinghy or rental kayak. 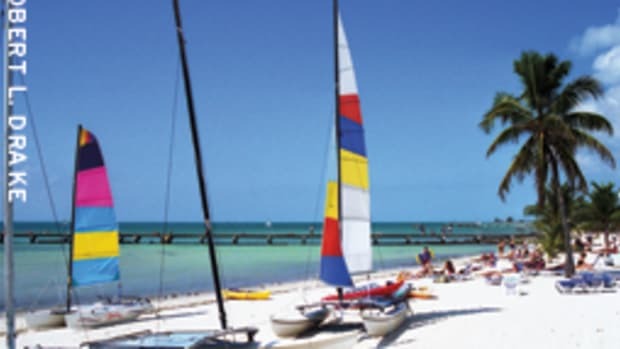 Of the nine pubs and restaurants downtown I usually gravitate to Beans for morning coffee, and in the afternoons I swap sea stories on Oriental Marina’s tiki bar or Oriental Harbor Marina’s patio while the yachts arrive. 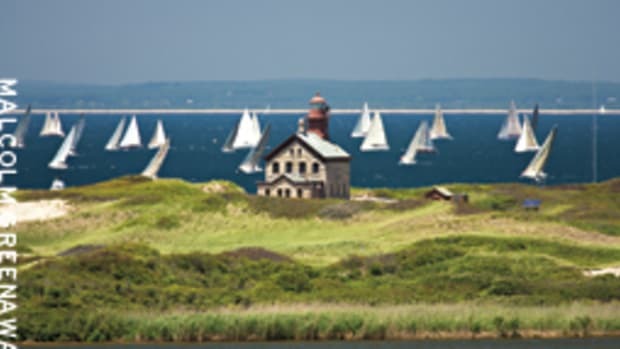 They bring boaters from evening sailboat races, regattas, ICW cruises and ocean-crossing voyages. Each sailor has a story, says Keith Smith, co-founder of www.towndock.net. He tries to include many of them in his daily updated local online newspaper of all things Oriental. 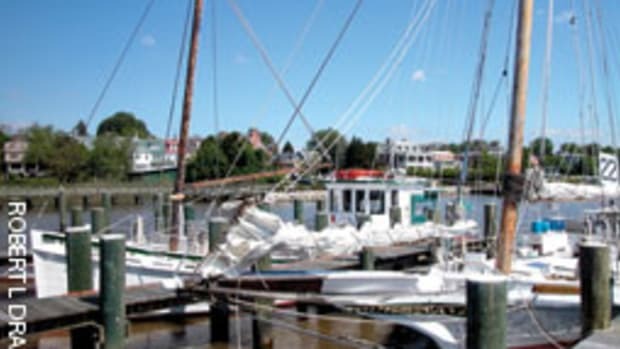 To be amid the conviviality of downtown, tie up at Oriental Marina and Inn (www.orientalmarina.com) or the town dock in the narrow harbor formed by Raccoon Creek’s mouth. 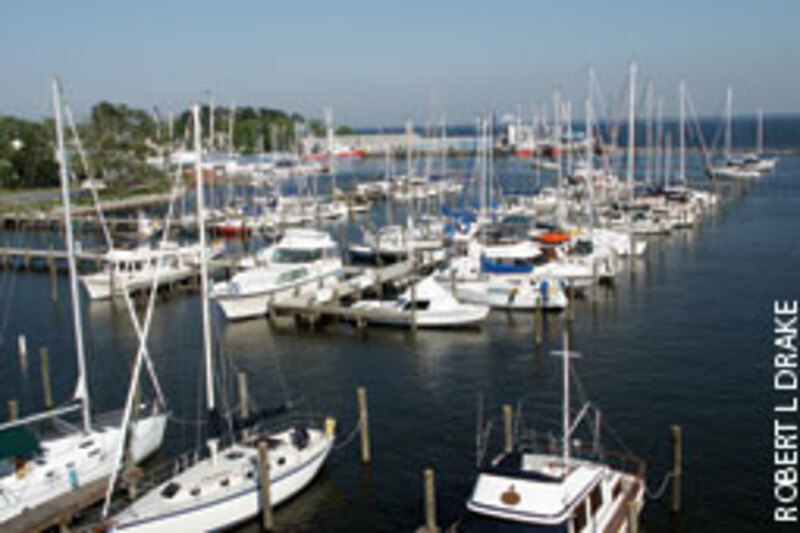 Deaton Yacht Services (a full-service repair yard, www.deatonyachts.com), BoatUS, Whittaker Creek Yacht Harbor (www.whittakercreek.com), and Whittaker Pointe Marina (www.whittakerpointe.com) line Whittaker Creek, a mile or so north.